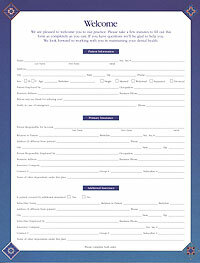 Make you first dental office appointment even faster by completing a new patient form. 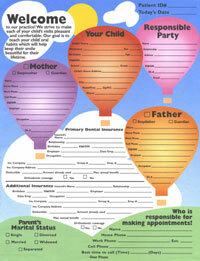 Just select the applicable new patient form, print it out and complete it before visiting our dental office. Although it’s not required, by completing the forms it will make your first appointment quick and easy. Bring your completed forms with you to your dental visit and make your first appointment a snap.